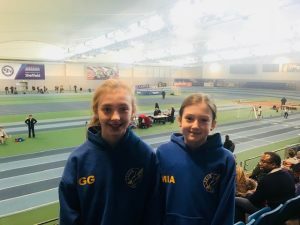 Leeds City Athletic Club has a proud heritage of developing athletes from all ages, genders and abilities from the local community and beyond. Please explore each category to find out more about how we are inspiring athletes across all disciplines. 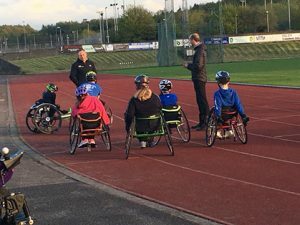 The Leeds City Wheelchair Racing Group has been in existence at Leeds City Athletic Club since 2004 and caters for all levels of ability. We now have enough chairs to cater for anyone who would like to come and try wheelchair racing and to assist in their development. This is a fantastic resource to support disabled sports people of all ages and abilities to have a go at this amazing sport. We are proud to have trained athletes in this group such as; the Paralympic, World and European Champion Hannah Cockroft MBE and the World Championship bronze medalist Georgina Oliver. We also have supported athletes who have transferred across to Para-Triathlon. Currently training in the group we have; Nick Smith, the British Record holder for the T52 100m, and Matthew Hickling the previous GB Junior World Championships medallist. The group train every Thursday evenings from 18:45 to 20:00. For anyone interested in joining the Wheelchair Racing group, please contact Paul Moseley (email: paul.moseley@outlook.com) to discuss. 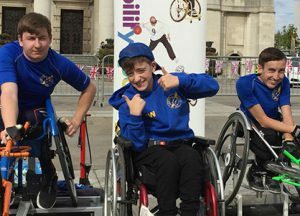 Our competing athletes, range from our under-11 boys’ & girls’ (Leeds Lions); through each age range right the way through to the Veterans’ team. We train and compete in sprints, middle distance, throwing, jumping, and hurdles. Our U13/U15 teams compete in the North Premier East division of the Youth Development League (YDL) lower. Our U17/U20 teams compete in the North East first division of the Youth Development League (YDL) Upper. 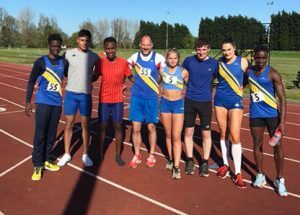 Our senior team competes in division 2 of the North of England Track & field League. 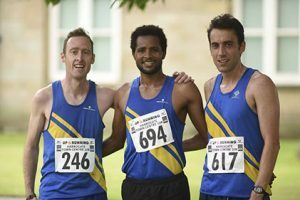 We meet every TUESDAY & THURSDAY from 6.00 – 9.00 p.m.
Leeds City Harriers form the road and cross country division of the club and we welcome athletes of all abilities. We compete in the National & Northern Road and Cross Country Relays and regularly field several teams, covering a range of abilities. 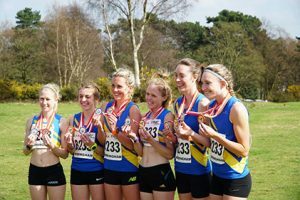 We are past National and Northern Champions in these events and we are the reigning Champions in the Women’s Northern 4 stage and 6 Stage Road Relay Championships. 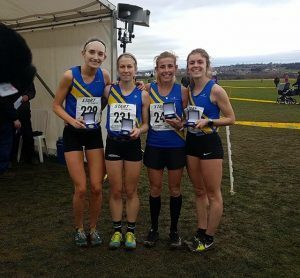 We are also strong competitors in the Yorkshire Cross Country, Northern Cross Country and National Cross Country Championships and can count past medal winners and champions within our current members. We are the reigning Men & Women’s Yorkshire Cross Country Champions, the Women’s Northern Cross Country Champions and the Men’s National Cross Country Relay Champions. Many of our members have competed at International level and our men’s team will compete in the prestigious European Clubs Cross Country Championships in early 2019. For those that want to stay closer to home or compete at a slightly lower level, we also take part in the West Yorkshire Cross Country League. These competitions provide many opportunities throughout the year to participate in road and cross country events, both as an individual and as part of a team. They are also an opportunity to get to know other athletes in the club and we even have the odd post-race social event. We train on Tuesday and Thursday and have two senior groups to cater to different abilities. 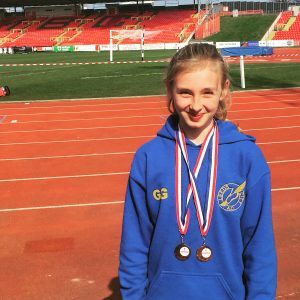 Our competing junior athletes start from our under-11 boys & girls (Leeds Lions); through each age range to the U20 boys & girls. We compete in track & field (sprints, middle distance, throwing, jumping, and hurdles) as well as cross country, road running, fell/hill running and race walking. Our U13/U15 teams compete in the Northern Premier 1 division of the Youth Development League (YDL) lower and our U17/U20 teams compete in the Northern Premier 2 division of the Youth Development League (YDL) Upper. We meet every TUESDAY & THURSDAY. We hire the facility between 5.30pm and 8.30pm and these groups start at different times within that window. © Copyright Leeds City Athletic Club 2019. All Rights Reserved. Leeds City Athletic Club is a registered charity in England and Wales (no 1147558).